Window Wanderland is coming back to Southfields and we need you to help us light up the trail! With your help our aim is to transform our streets into a magical outdoor gallery for all to see. Taking part is FREE and everyone in the community is welcome. 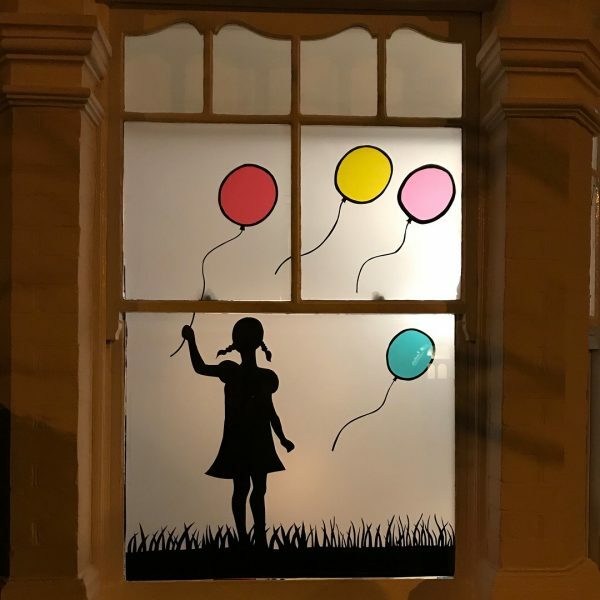 You can make a display in the windows of your flat, house, business, school, nursery, car, campervan, shop – or in your front garden! “But I’m not creative” we hear you say. Well, you don’t have to be. Your display could be something as simple as fairy lights in the window, a candle, your favourite book or dress, your dog! – or simply just open your curtains and shutters and show us your lovely interiors (for we all love a good nosey don’t we?). Alternatively you can go all out and stage a performance in your front room, host karaoke in your front garden, or project something onto your building. Simple or spectacular, it’s completely up to you. This is a family event so please bear this in mind when creating your displays. Click on the link http://www.windowwanderland.com/event/southfields-london-2019/ then click ‘Take part in this event’ to add your address to our map.